What is Japanese Typical Home Party Food?? Christmas is now over, and some of you may feel as if festive season in winter came to an end, but our festive season is still on; remaining year end parties and New Year’s party coming up! Although we do have a specific new year’s food, Osechi to eat during a few days in the beginning of a new year, but what do Japanese usually eat when they have a house party with families and friends. 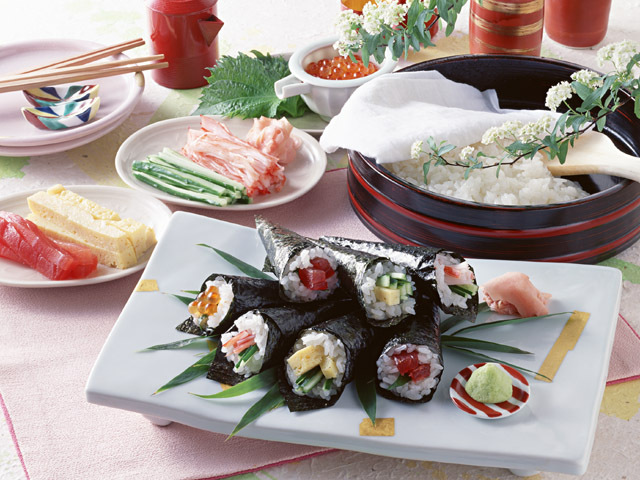 Today, I would like to write about home party food of Japan. This is very typical and safe option because no one really hates potato salad. Good thing about potato salad is you can make it looks/tastes special if you make arrangement in ingredients. For example, you can possible put the potato salad in a tomato pot by taking tomato seeds out. 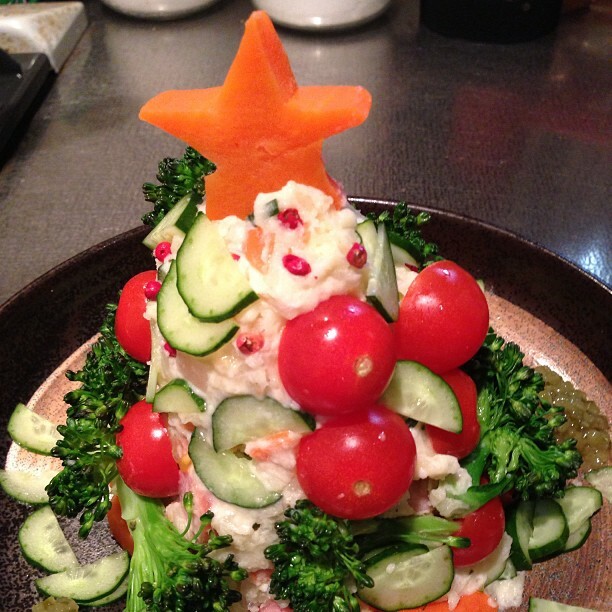 Or if you use large prawn, scallop and other seafood and colourful vegetable, it all looks nice and gorgeous! Karaage fried chicken is not particularly festive food; it is more like everyday food and favourite menu of lunch box, too. But you can always find new flavour as people always try to develop new arrangement. 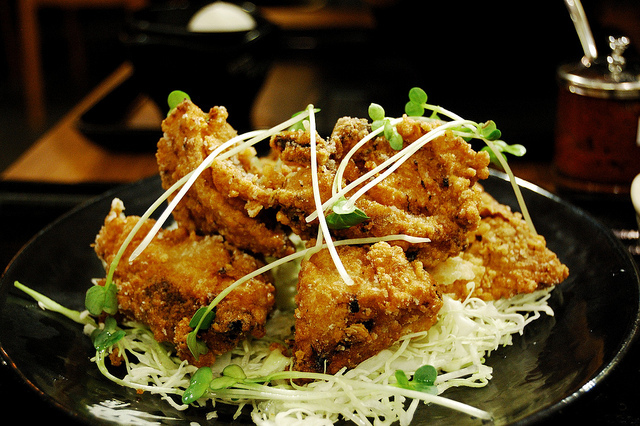 At the moment, Nagoya style sweet and spicy fried chicken and one uses shiokoji or salted rice malt have been a big trend this year. Hmn, all sounds good, and yes, pretty much all of them are what I usually have when I have a home party with my friends 🙂 I personally like curry flavoured potato salad and karaage with yuzukosho paste. Arrr, can’t wait for the next party coming up! Please let me know what your country’s typical party food, too. Amazingly Huge Egg! Check What’s inside! ONE PIECE Characters Hits the Street in Halloween Costumes! !